Lots of under the hood functionality has been optimized and merged with the WordPress REST API in core. It now makes use of WordPress content type endpoints and the Backbone.js official client. This makes it more secure, future-proof and makes it easier to use and access from 3rd party applications. Stay tuned for some awesome integrations! Email templates now have a beautiful, branded look! Emails automatically match your brand color and display your logo front and center. Easier drag and drop comments for websites. 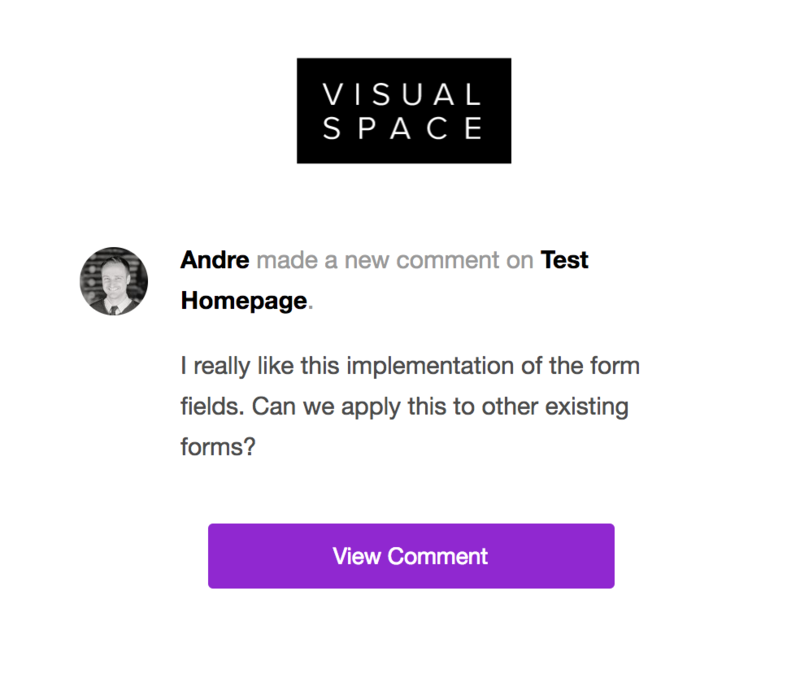 Comments can now be more easily dragged and dropped to new locations throughout the live website. The website user-interface and experience has been overhauled with helpful animations and more natural states. Automatically add website project members through a magic link. Once clients have an account, simply click and share the magic link. This will automatically add them as a project member and give them access, making it easier to share with your clients when your project is ready. Unsubscribe from email notifications on specific project. Now you can opt out of email notifications on a per-project basis with a simple checkbox. Website widget no longer can get lost outside of the screen. Website comments have a slightly different layout and position better on fixed screen elements. Website pages can be renamed on the admin. Website UI tweaks to make everything more natural, stop hiding UI elements.